Piece for the show Botanica at Light Grey Art Lab in Minneapolis. Each artist created a piece inspired by botanics and the origins of the earth. 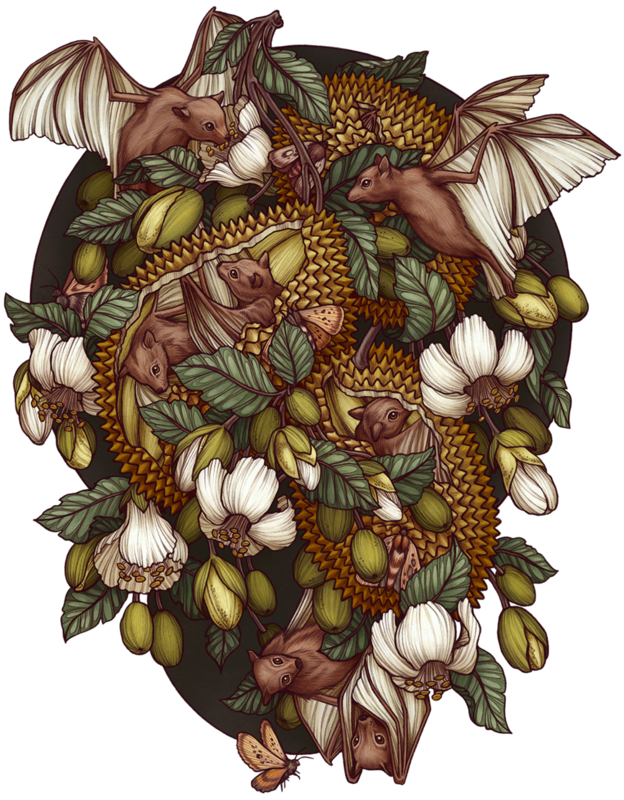 This piece is of the Durian tree, a plant from Southeast Asia which produces large smelly fruit and is pollinated by Nectar bats.